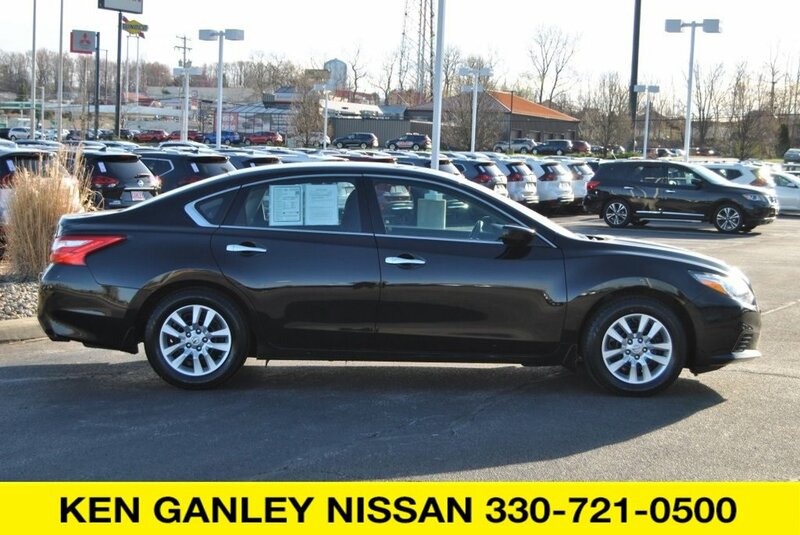 Description Nissan Altima 2016 2.5 S CARFAX One-Owner. Certified. Super Black New Tires, New Rear Brakes, Passed Rigorous 160 Point Inspection Performed by Certified Technician, Vehicle has been Freshly Detailed Inside and Out, 4-Wheel Disc Brakes, 6 Speakers, ABS brakes, Air Conditioning, Brake assist, Dual front impact airbags, Dual front side impact airbags, Electronic Stability Control, Exterior Parking Camera Rear, Fully automatic headlights, Illuminated entry, Outside temperature display, Power door mirrors, Power steering, Power windows, Radio: AM/FM/CD/MP3 Audio System w/NissanConnect, Rear window defroster, Remote keyless entry, Security system, Speed control, Speed-Sensitive Wipers, Steering wheel mounted audio controls, Tilt steering wheel, Traction control, Variably intermittent wipers.